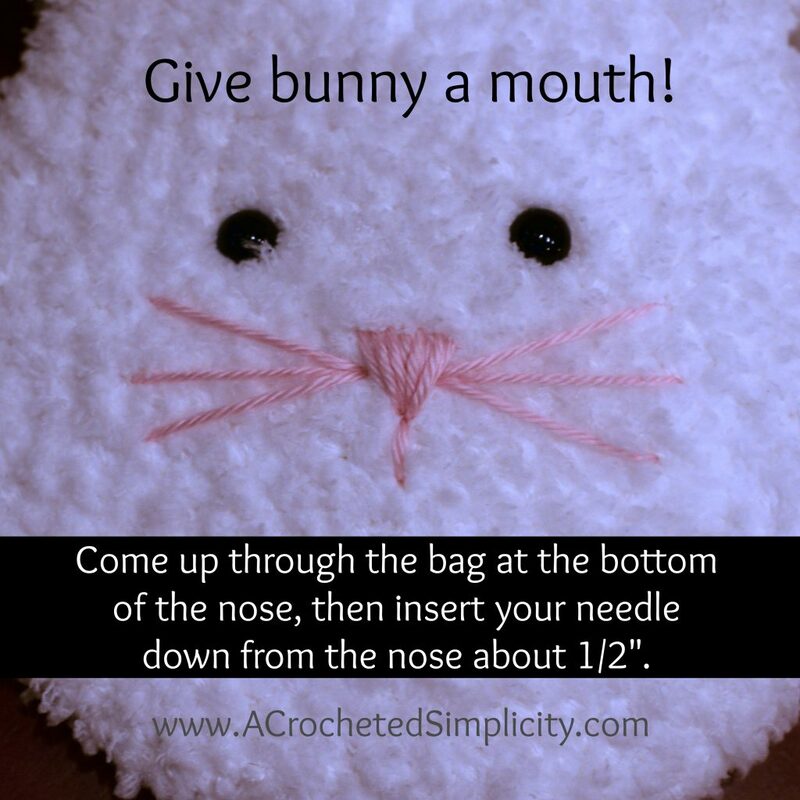 I think you’ll agree that Bernat Pipsqueak yarn is the best yarn for making soft, fluffy bunnies at Easter time. So when Claire asked me to make her a small purse, it is the first yarn that came to mind. 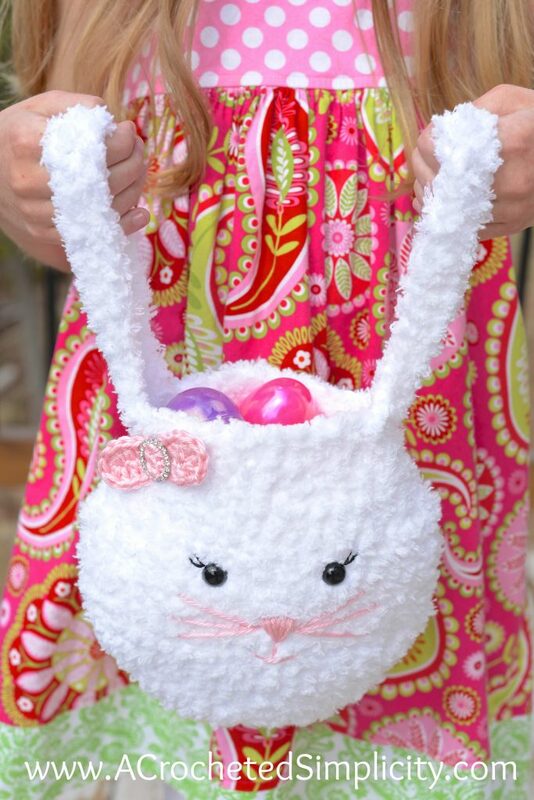 It’s the perfect yarn for the Pipsqueak Bunny Bag! 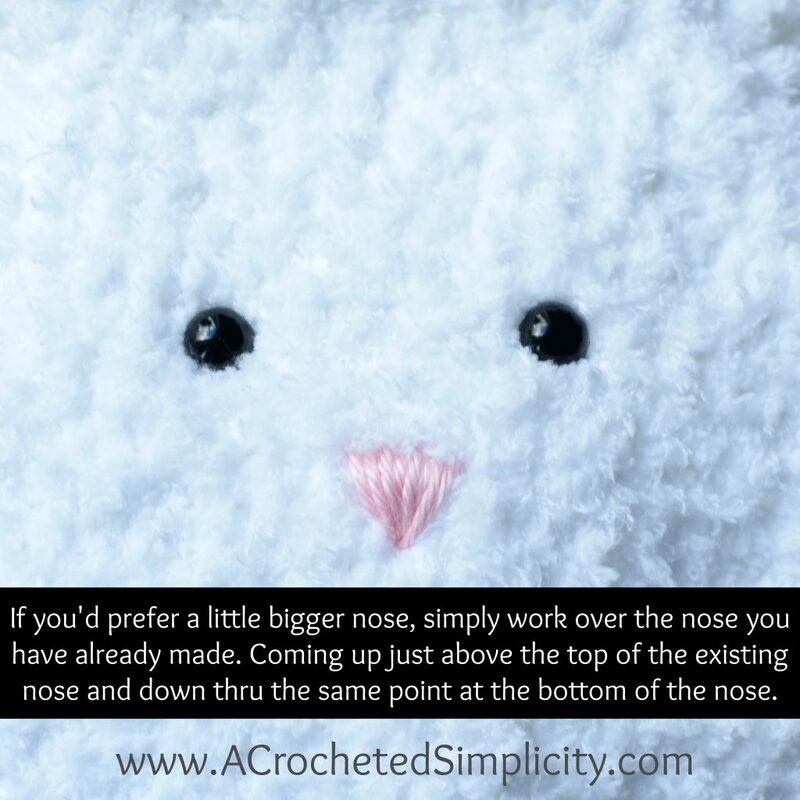 I tend to crochet on the tighter side, if you crochet more loosely, you may need to go down a hook size or two to crochet a bag the same size as mine. 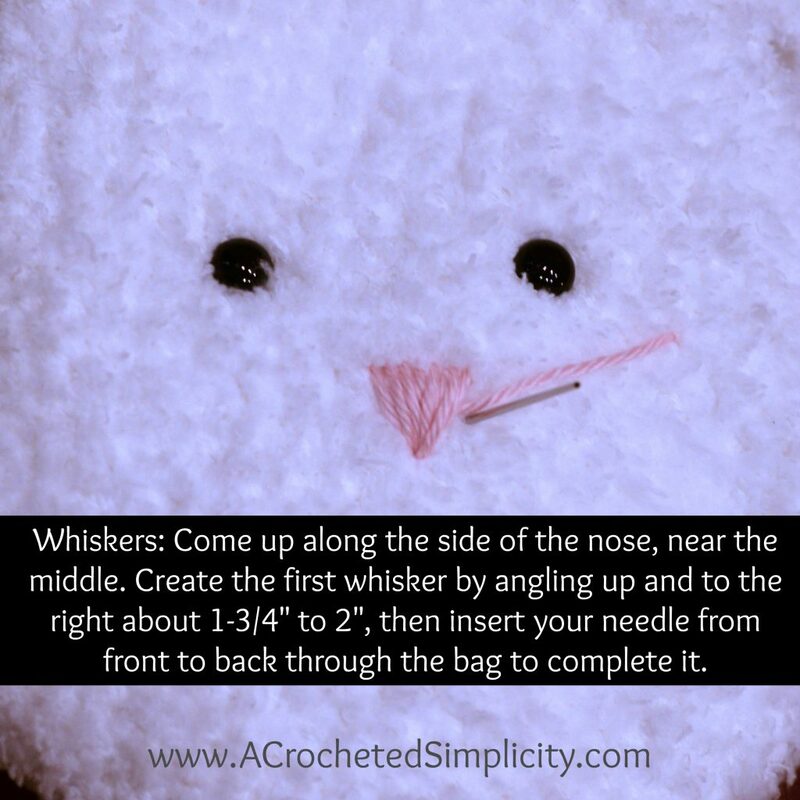 The entire bag is worked by holding together 1 strand of Bernat Pipsqueak & 1 strand of white Caron Simply Soft. 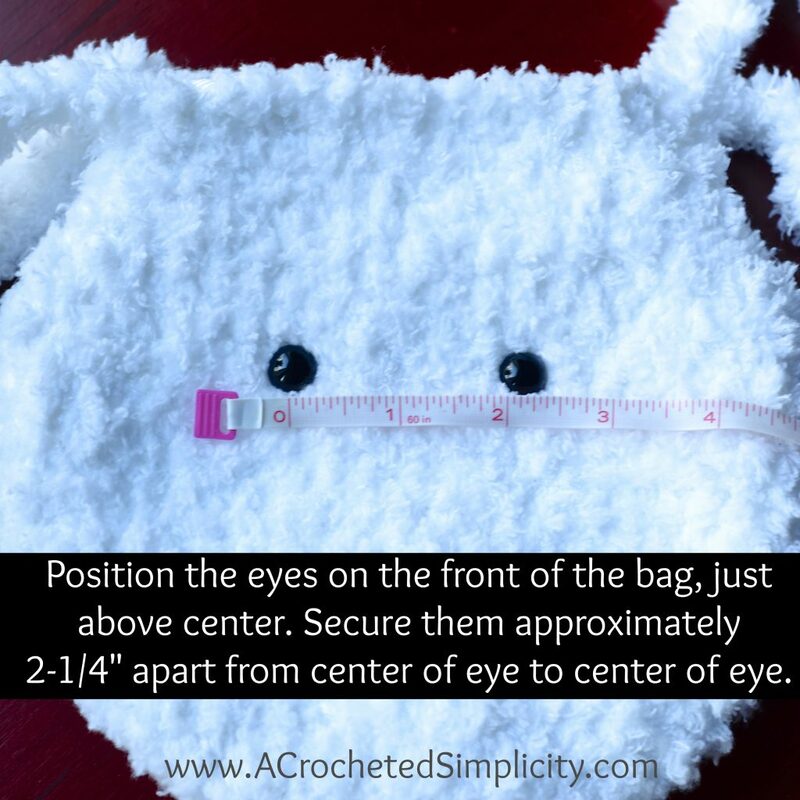 The bag is worked in continuous rounds beginning at the bottom of the bag. 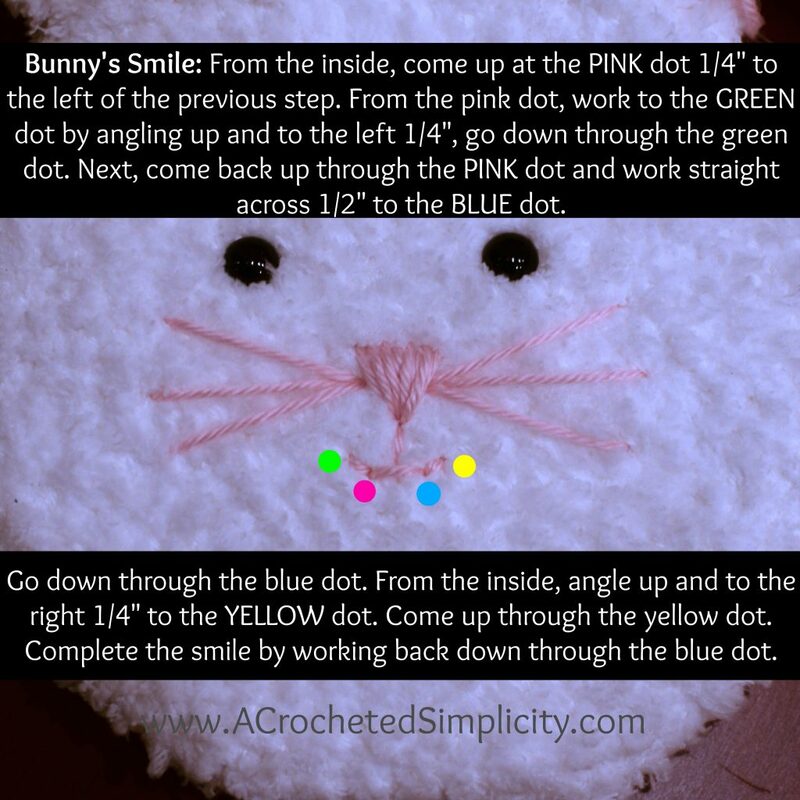 I highly suggest using a stitch marker (I prefer to use a scrap piece of yarn) to mark the beginning/ending of each round, to keep your place. The bow is made using only 1 strand of soft pink. 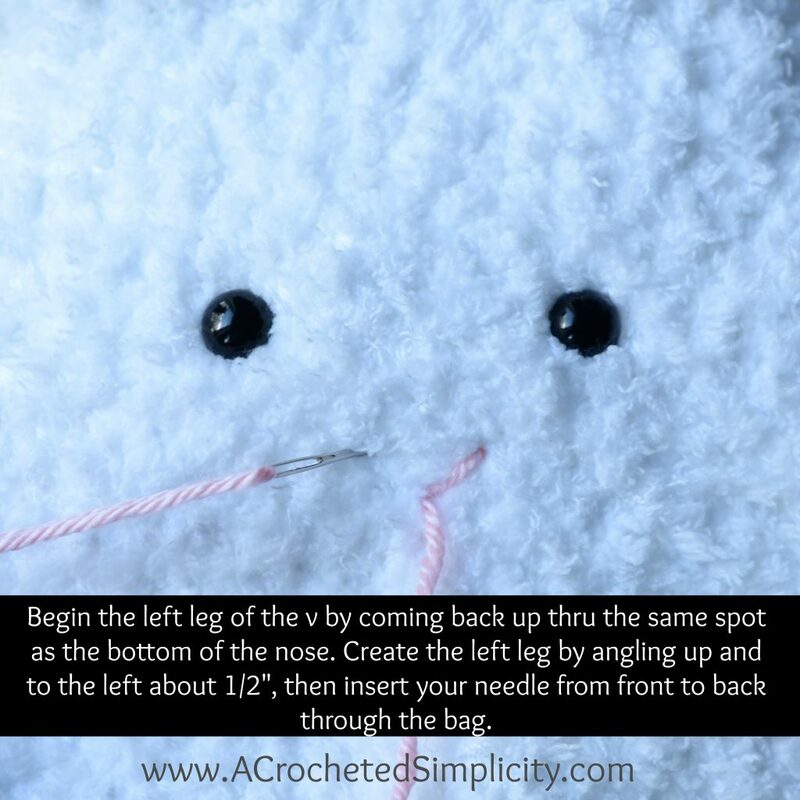 Can’t see your stitches when working with Bernat Pipsqueak, read this! 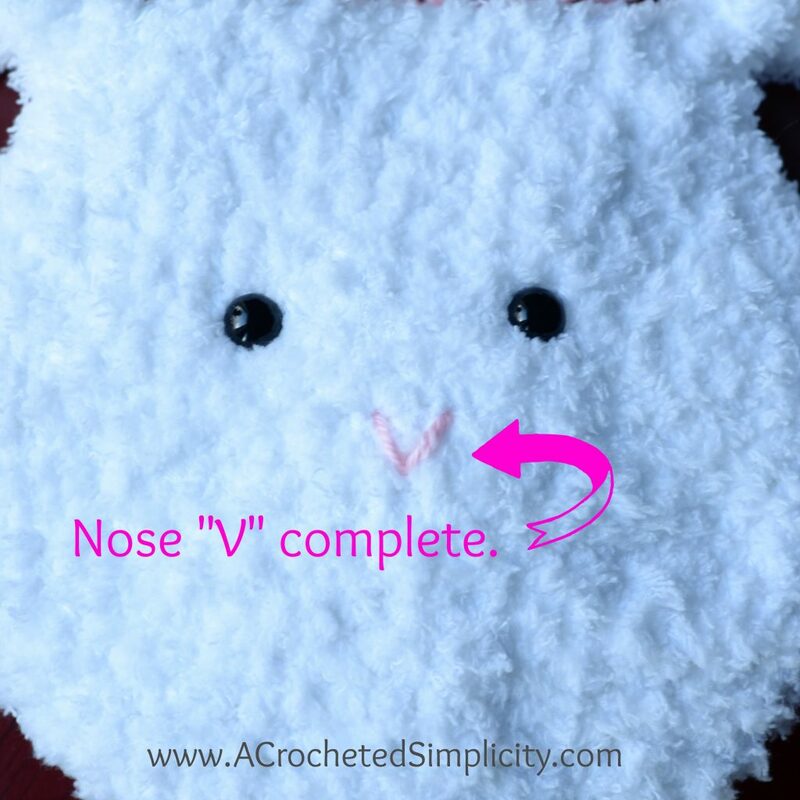 This is a great yarn, but it can be hard to see your stitches because it’s so soft and furry. So to make this project easier to work, I’ve designed it holding together 1 strand of Pipsqueak with 1 strand of Caron Simply Soft. Adding the worsted weight yarn, Caron Simply Soft, gives you the ability to be able to feel your stitches and see them just a little bit better. So, as I’m working around, I use the thumb and first finger on my non-hook hand to squeeze the top edge of my work. 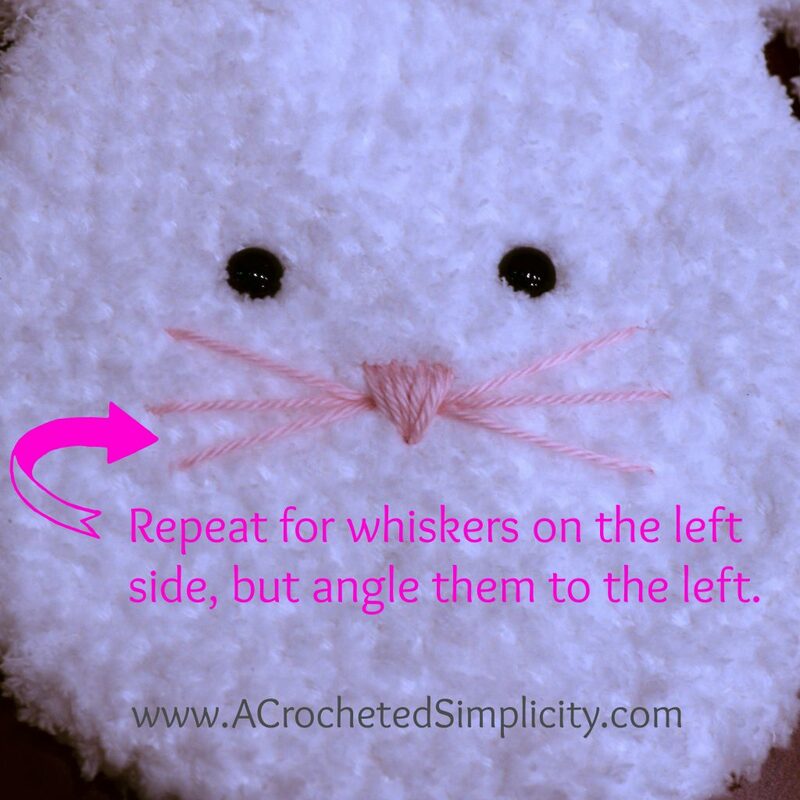 I’m feeling for the top loops of the stitches so that I know where to insert my hook to work the next stitch. I hope this helps you too! *Bag is worked in continuous rounds. 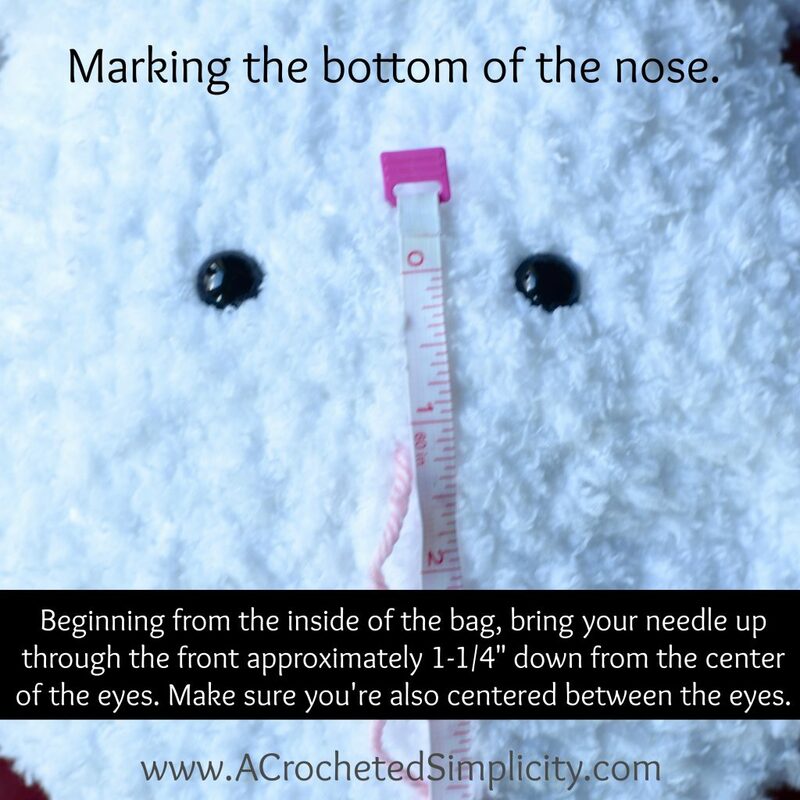 Place a stitch marker ( I use a 3″ scrap piece of yarn) after the last stitch of the round, before moving on to the next round. Move the marker up as you complete each round by removing it and placing it after the last st of the round just completed. Fasten off. Weave in all ends. 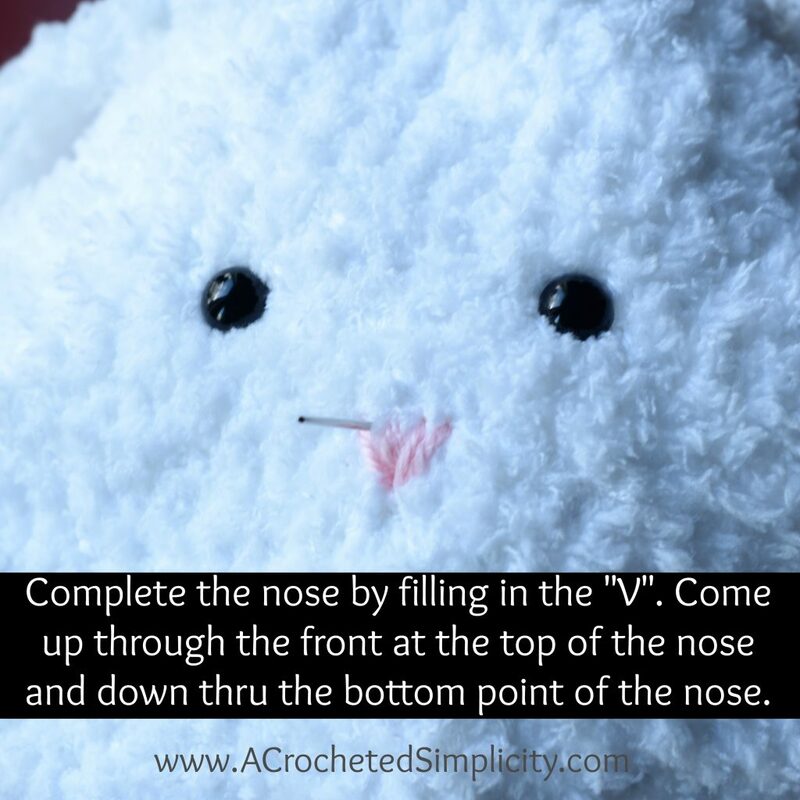 Continue on to the Bunny Face Tutorial below. Fasten off. Use the Invisible Join Technique (click here for tutorial) to keep the edge of your bow as smooth as possible. Weave in the end from joining. 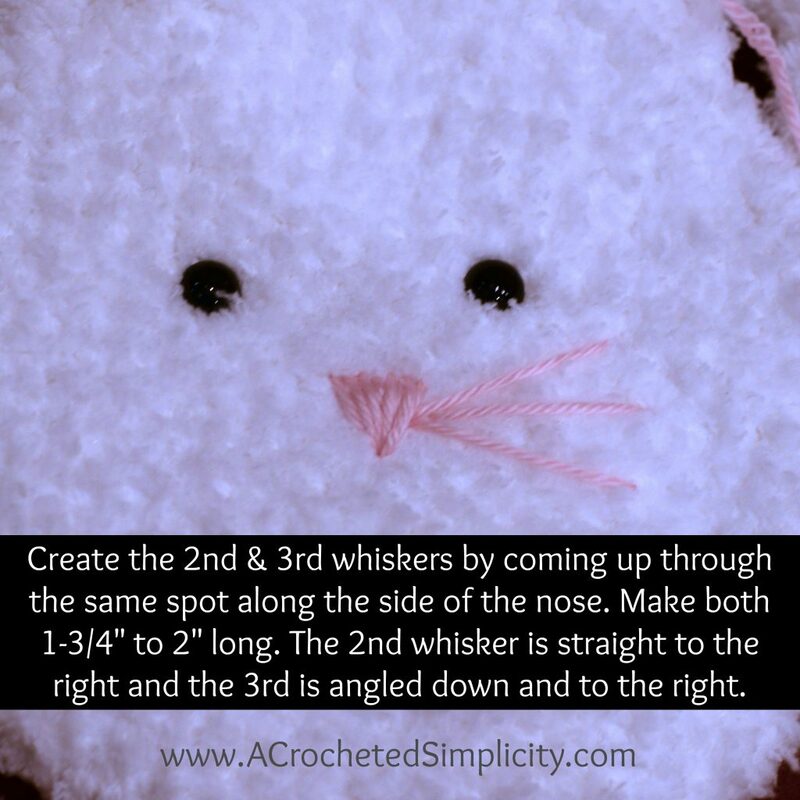 If you’re using a small slide for your bow, weave the bow through the slide now. 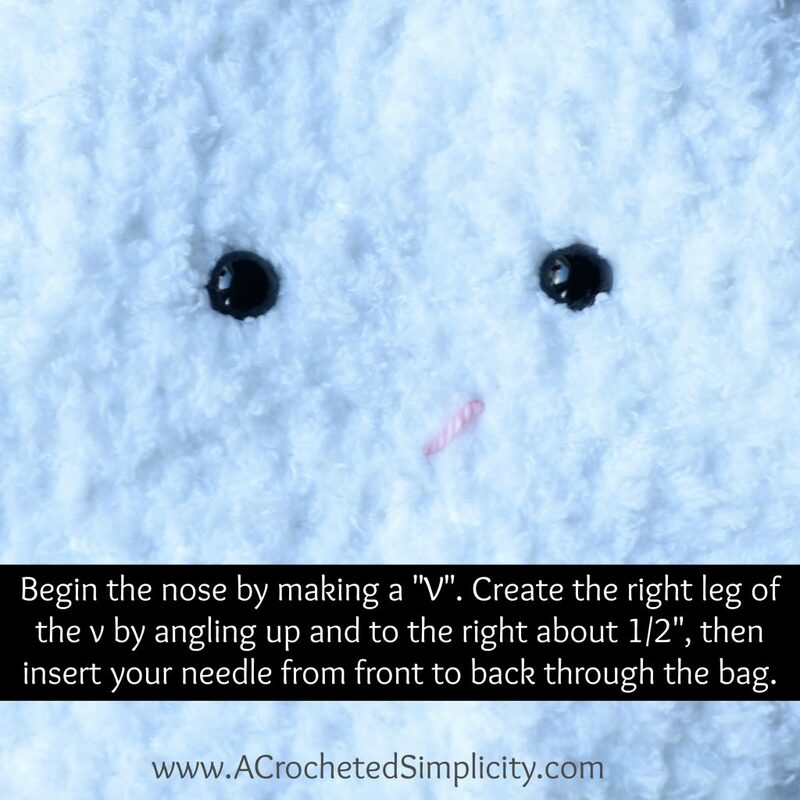 If not, you can cinch the center of your bow by wrapping a small amount of yarn around it. Continue on to Finishing. 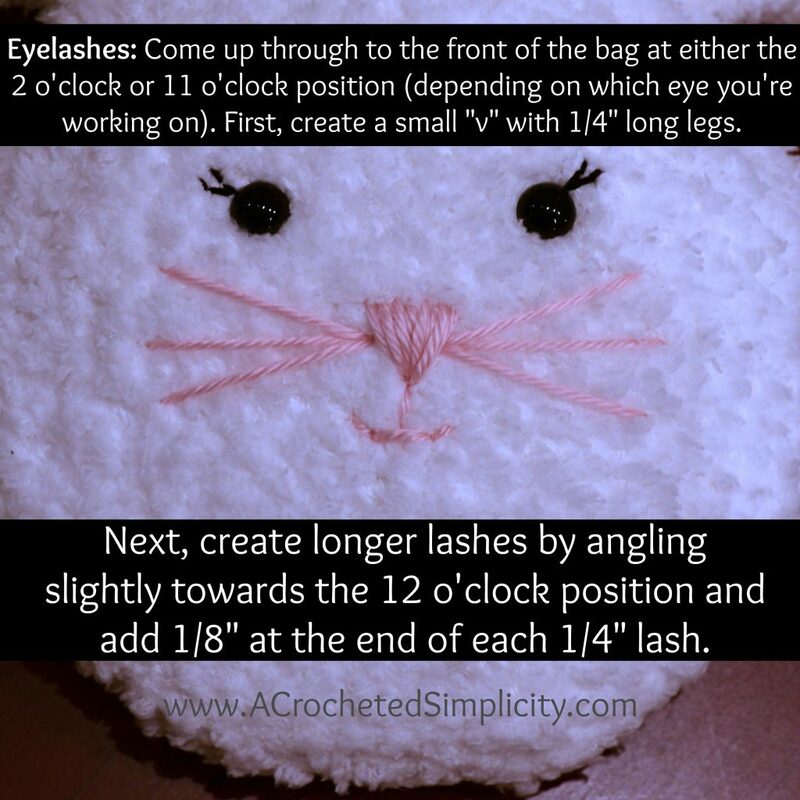 Using a yarn needle and the tail of yarn you left at the beginning of round 1, sew the bow onto your bag. I prefer to position mine near one of the ears. 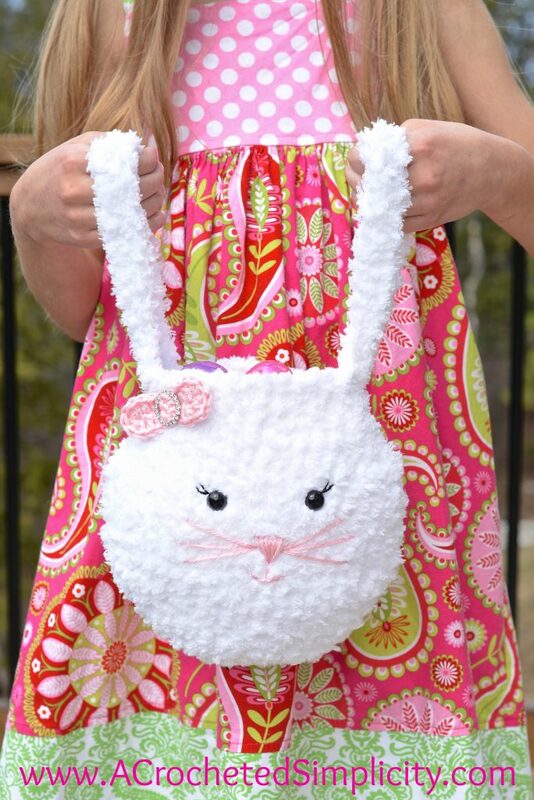 Am I reading this right that you can get 2 bunny bags from the white yarn you recommend? With the large skeins of Bernat Pipsqueak, yes. I believe they’re 8.8oz.